Acrosser prides itself on the high quality of the products it provides. With its four full production lines, the company manufactures products for its own brand name as well as the OEM/ODM customers. Acrosser keeps pursuing the quality and has met various current industrial standards. 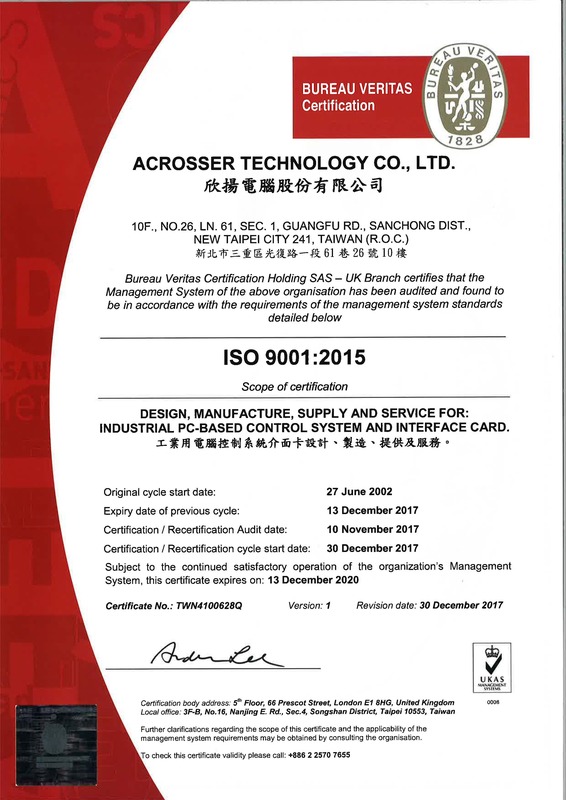 It has not only obtained ISO9001 certification, but met CE, FCC, and UL standards as well. In addition, to ensure the reliability, all the products must stand up to environmental screenings such as vibration test, environmental stress screening, and 100% burn-in test. Moreover, Acrosser has established a MRPII program that manages materials and resources to make the production more efficient. Most importantly, all the effort is to ensure the high quality of products Acrosser provides to the customers..